out and rather having a subjective quality to it. Like a ghost haunting. Not necessary how things happened. 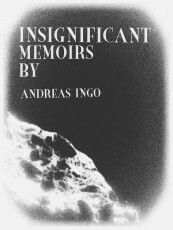 autobiographical journey of the author. Futuristic horror taken beyond conventions into the dark domain of individuality. This page was created in 0.3404 seconds.